Adventures in the Endless Pursuit of Entertainment: These Playbills Are Making Me Thirsty! These Playbills Are Making Me Thirsty! I've been studying all of the playbills I recently received from Ed. 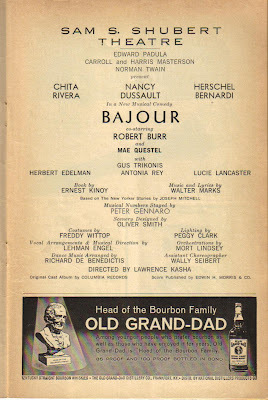 It occurred to me that the biggest difference between the playbills from the 1960s through the 1980s and the ones from the shows I've seen myself post-2001, is that there are fewer articles of substance. This is a big void. The other difference is advertising content. Ads for perfume, cars and watches are still prevalent, but liquor ads are replaced by ads for sleeping pills. 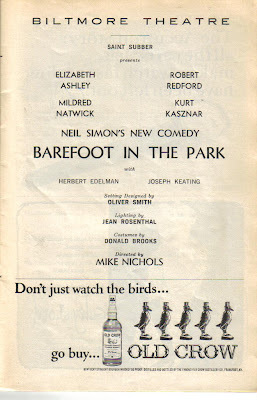 Perhaps Playbill joined the liquor ad ban craze in the 90s. All I know is that I could go for a cocktail right about now. 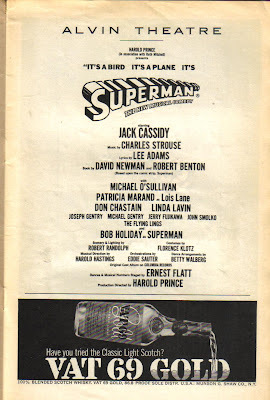 That would definitely be interesting to see how the playbills have changed. 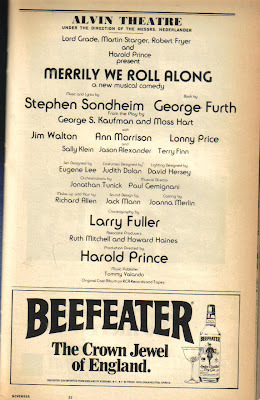 And I wonder as well, how much the Playbills will change another 20 or 40 years from now. Hopefully theatre will still be relevant.